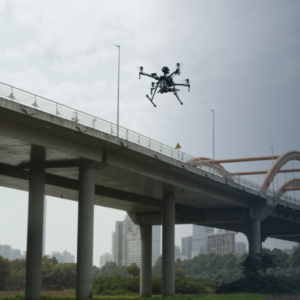 Bridge Inspection Services - The Drone Co. The American Road & Transportation Builders Association, in their 2017 Bridge Report, found that “there are 185 million daily crossing on nearly 56,000 structurally deficient U.S. bridges.” With these numbers only to rise, teams need a way to prioritize maintenance and increase efficiency with the teams they have. Instead of spending days, weeks and even months inspecting bridges drones can now do it in hours.